A suspicious woman infiltrated the Republican Retreat the Lowes Hotel in Philadelphia last week. The woman said she as a politician’s spouse and sat throughout the day with the Republican lawmakers until she was finally escorted out. 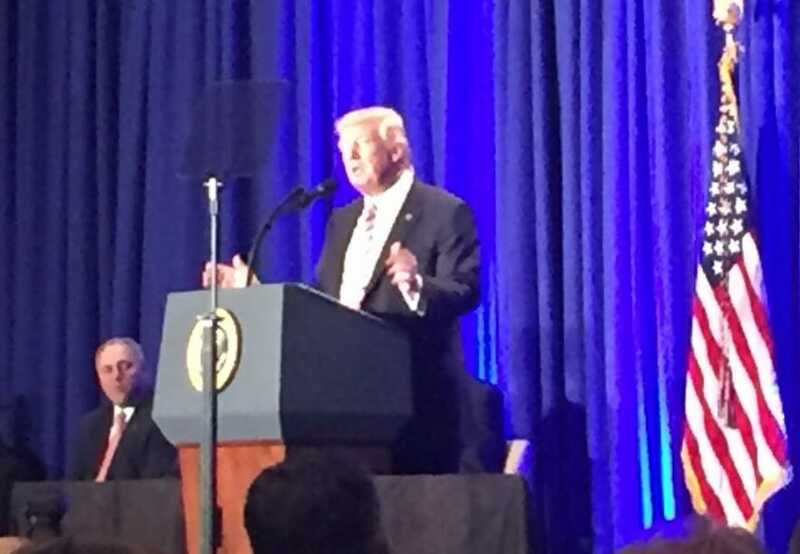 President Trump spoke to the Republican lawmakers at the retreat. The woman sat for 11 hours with Republican lawmakers before they discovered she was a spy. The woman who infiltrated the Philly congressional retreat Thursday did so between 7:30 am and 6:30 pm — a window that includes Prez visit. …It’s unclear why the intruder was removed from the event, but law enforcement does not know who she was or how she got it. Strand apologized in his letter and vowed to out new security protocols in place in the future. “The Congressional Institute is continuing to investigate this breach in order to fully understand how it happened and to ensure it does not happen again,” Strand says in the letter, according to a copy CNN obtained from a congressional source. Strand said the woman “infiltrated” the secure gathering that took place at the Loews Hotel across from City Hall between 7:30 a.m. ET and 6:30 p.m., when she was escorted out. He said she “misrepresented herself on multiple occasions” as a spouse of a member of Congress. Most of the policy sessions during the event were attended by members, but spouses were invited to the the lunch with Trump and meeting with Pence, with some posting pictures on social media.